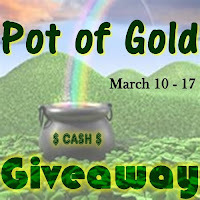 Pot of Gold Cash Giveaway! Enter to Win $55 Cash! Giveaway Opens at 12:01am on 3/10/12 and closes on 3/17/12 at Midnight. I have teamed up with 25 other AWESOME bloggers to bring you a Pot of Gold CASH Giveaway. 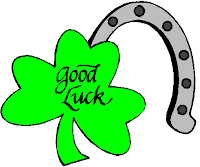 The prize is $55.00 PayPal or Amazon Gift Card.. This is a SUPER easy giveaway the only MANDATORY entry is to "like" all sponsor pages on facebook. There are MANY other ways to gain additional entries as well. @Marti, thank you SO much for letting me know! I will let the giveaway moderator know right now. Sorry about this! I would buy some CD's and Books. i would put it toward a bill! I would put it in our vacation fund. Or I could buy myself some spring sandals! I'd pay some bills and buy some books as RAK gifts! I would use it for gas or groceries!